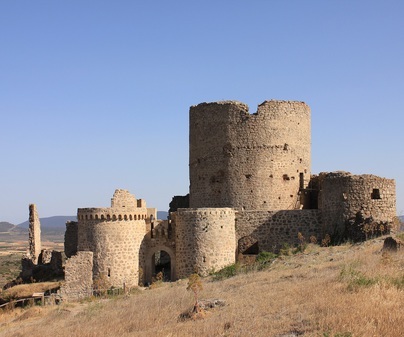 Here is an opportunity to see a fortress of great defensive capability, with a spectacular landscape surrounding it, and found in the interesting collective heritage of Moya. As if access were not difficult, it was separated from the town by a big moat. The parade ground has its entrance flanked by two turrets that would make it difficult to enter by force. It has three lines of defense. The wall that leads from the castle to surrounds the town, and two, separated, in the castle. Under the South side of the wall an imposing cliff opens up. The tower keep retains two large windows with rounded arches. 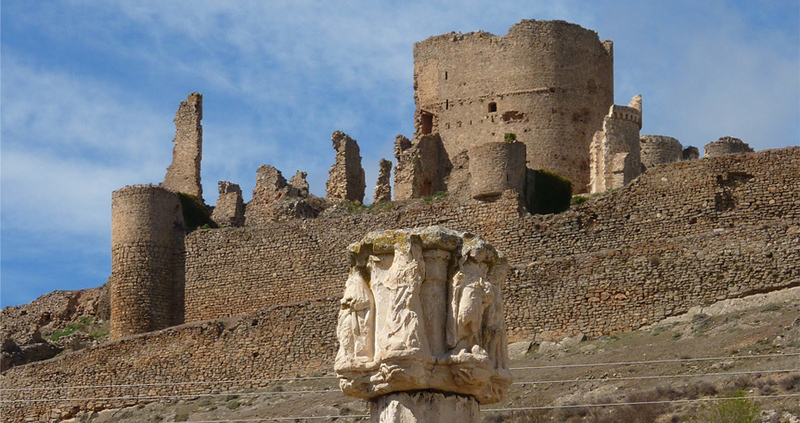 It formed part of the fortresses conquered from the Arabs by Alfonso VIII, and passed through various hands until becoming property of the Marquisate of Moya, turning it into an administrative seat and important strategic point for being on the border between Aragón and Valencia. The town of Moya is declared a site of historic and artistic patrimony. It is worth visiting to walk through the streets, enjoying its medieval spirit.